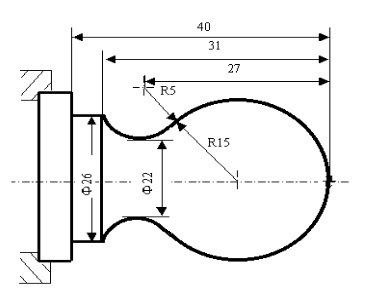 Easy to understand CNC turning center/cnc lathe programming example for cnc machinists who work on cnc turning centers/cnc lathe machines. 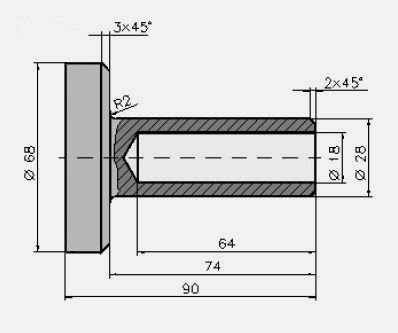 This cnc programming example can be used as a cnc learning programming exercise for beginners level cnc programmers/machinists. 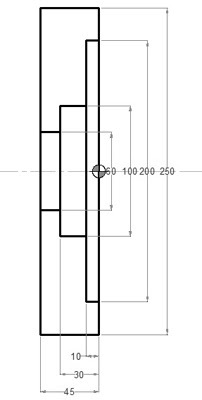 CNC program example to show how two combined arc can be programmed with G02 G03 for a cnc lathe. 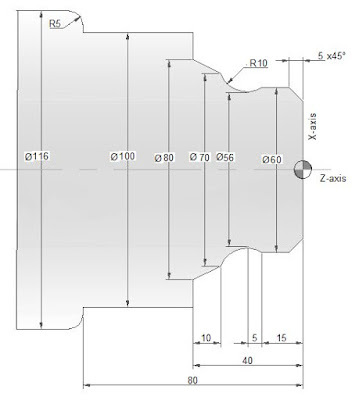 A full CNC programming example with ID/OD (Turning/Boring operations) for cnc machinists who work on a cnc lathe machine. A must to learn/practice for those who are learning cnc programming. 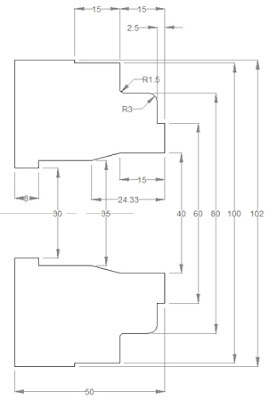 The added benefit of this programming example is that no cnc lathe canned cycle is used in this programming example. 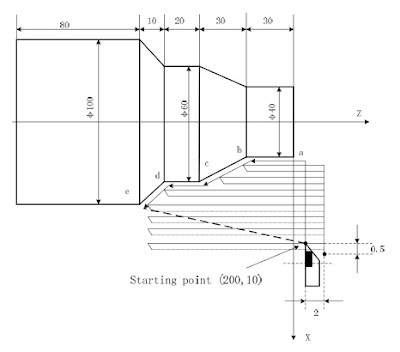 Haas lathe programming example to illustrate the use and programming of Haas G72 Type I Rough Facing Cycle/ G70 Finish Cycle. The above code will also work on cnc lathe machines with Fanuc cnc control with little or no change. 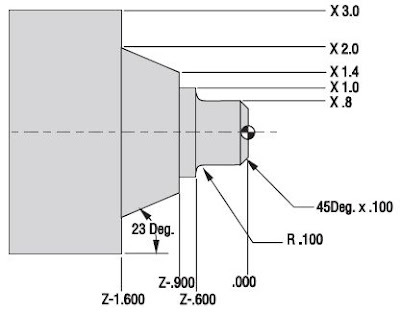 All the G-code / M-code which are used in this Haas lathe programming example are given below with description. G03 Circular Interpolation – Counterclockwise. G41 Tool Nose Compensation LEFT of the programmed path. G40 Tool Nose Compensation CANCEL. G50 Spindle Maximum RPM Limit. G53 Machine Zero Positioning Coordinate Shift. G72 End Face Stock Removal Cycle. G96 Constant Surface Speed On. G97 Constant Surface Speed Cancel. M03 Starts the Spindle FORWARD. M30 Program End and Reset to the beginning of program. N450 G03 X66. Z-24. I-3. K0. N470 G02 X48. Z-27. I0. K-3. N490 G03 X42. Z-44. I-3. K0. N510 G02 X24. Z-47. I0. K-3. N590 G41 G00 X72. Z2. 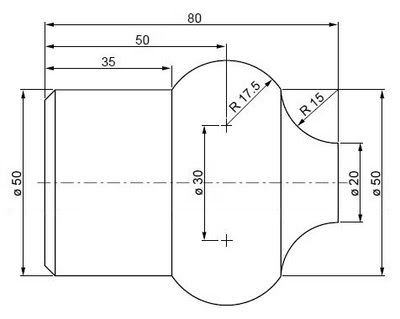 CNC programming exercise for cnc lathe machinists who work on Fanuc cnc control (or similar cnc control). N610 G02 X32. Z-74. I2. K0. N770 G02 X32. Z-74. I2. K0. 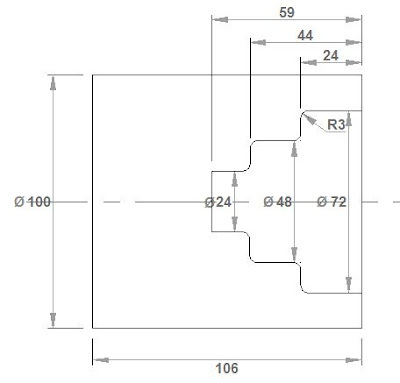 CNC arc programming example this cnc program shows how two arcs G03 G02 can be joint together.